Wow what a time I’ve had! I have been in my absolute element on the Goldwell Colour Master Course for the past 6 weeks, studying everything from hairdressing science to the very latest colour trends and techniques. Exams and presentations every Monday morning after travelling up to London and marching to Shaftesbury Avenue from Waterloo, case study’s and homework every week and then to finish off, a challenging written exam at the end of the course followed by two practical exams which included colouring my models hair from black to green which even after 30 years in the industry, I’ve never done before! I was so pleased when the class said I was natural at presenting (I love to show off!!). 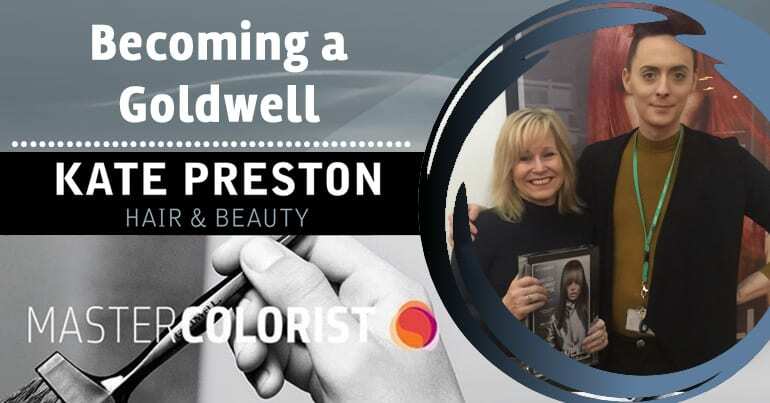 I can honestly say I have thoroughly enjoyed the last 6 weeks on the course, I’m so proud to have passed all the assessments and can now call myself a Goldwell Master Colourist. I would like to thank Liberty and the rest of the team for holding the fort whilst I was away, I will be back in the salon with my head up high and even more excitable, motivated and enthusiastic than I normally am!